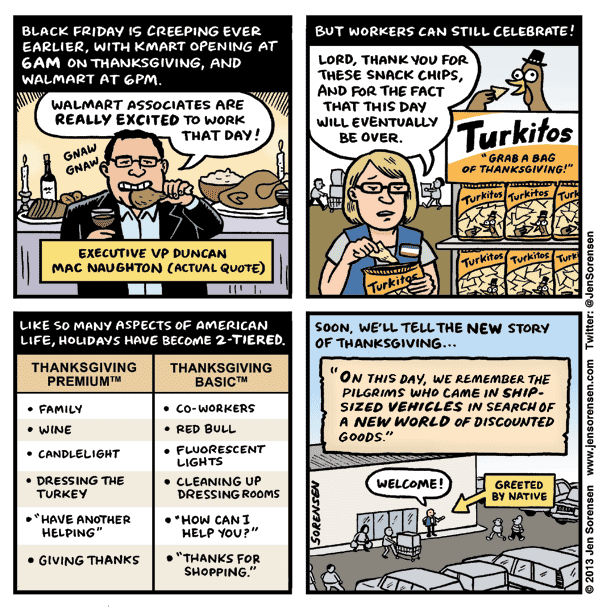 Special thank you to Jen Sorensen for allowing us to reprint her marvelous cartoon. If you are working today, we salute you. If you are shopping today, seriously? You couldn’t respect the only day in 79,000 years where two major holidays coincide? Unplug your television and get some new friends.